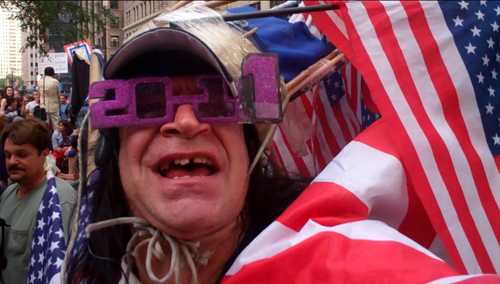 (VIDEO) Occupy Wall Street Protester: "I'm going to run for the Presidency of United States of Americaaaaaa!" This Occupy Wall Street protester is very clear with what he wants: "I'm going to run for the Presidency of the United States. Christie, you can stay home in New Jersey, and I'm going to take his place. I'm going to run for the Presidency of United States of Americaaaaaa!"